Unfortunately, we’re not all gifted with the ability to come up with good movie ideas at the drop of a hat. So how do you do it? How do you write a script if you don’t have a solid idea of what you want to write about? At all. In this post, we’re going to show you the best way to brainstorm and come up with great movie ideas that you can turn into great scripts. This first step is one of the very best ways of coming up with great film ideas. Turn off your computer. Turn off your phone, iPad, TV and any other electrical hardware you own and make a commitment they’re going to stay off for X amount of hours. Within this timeframe, get out the house and do some activities that give you the opportunity to let your mind wander. Go for a hike, or surfing, or sit in Starbucks and listen to other people’s conversations. Or simply walk down a city street. Look up, take in your surroundings and interact with people and the world. You’re missing out on a million potential screenplay ideas when your head’s buried in your phone. We recommend unplugging from technology for at least twenty-four hours, say, on a Saturday or Sunday. Really free the mind and reconnect with the present moment. You may be thinking all this sounds too simplistic. But giving your mind some time off from technology will give it the chance to roam. Here’s a perhaps more “screenwritery” method. One of the best ways to generate movie plot ideas is by riffing on existing ones. This will get your creative juices flowing enabling you to think more creatively about your own loglines. Here’s a list from 2017’s annual Blacklist. Make notes. Combine elements from different loglines. Add your own protagonist to someone else’s plot, or your own plot to someone else’s protagonist. Also be sure to listen to Pilar Alessandra’s yearly logline contest. This is a great place to hear plot ideas and absorb as much as you can from them. In our post on the 10 Best Screenwriting Podcasts For Savvy Screenwriters, we include links to some of these logline contests. The benefit of listening rather than reading is that you get to hear how the logline sounds when read out loud. Play around with all the different scenarios and you’ll come away with some promising new film ideas. It’s important to study loglines of produced movies too when you’re trying to come up with original plot ideas. Go to IMDb and gather together some loglines from movies in your chosen genre. As in the previous section, reading other people’s loglines should inspire you to come up with better film ideas yourself. There’s often no real reason to bang your head against a wall trying to come up with movie ideas from scratch. Instead, plunder real life. ♦ (500) Days of Summer. Writers Scott Neustadter and Michael H. Weber wrote down every bad relationship experience they’d ever had on index cards and turned them into the screenplay for this downbeat Comedy. ♦ Alpha Dog. Nick Cassavetes based the script to this film on the real-life kidnapping of a fifteen-year-old kid by his older brother’s drug dealer. ♦ Zodiac. James Vanderbilt and Robert Graysmith based their script on the lives of the journalists and investigators involved in the real-life serial killer case: the Zodiac Killer. Keep up with the news. Keep a notepad with you at all times and jot down interesting screenplay ideas from local newspapers and the national TV news. Subscribe to a news channel for daily updates. Watch documentaries in the genre you want to write a screenplay in. Get into the habit of hitting “Random Article” on Wikipedia and seeing what comes up. Also, listen to the Scriptnotes podcast. John August and Craig Mazin often include a section in which they take some real incidents and see how they could be developed as good movie ideas. Are you passionate about skateboarding? Or astrophysics? Or wiener dogs? What puts a fire in your belly? What subject would you really love basing the plot or theme of your script around? Often this is a great way to come up with movie script ideas because you’re starting from a point of passion. And this will come across in your writing and bring a level of authenticity to your work that’s lacking in many aspiring writers’ specs. Have a think about some of your favorite protagonists. What are they passionate about? What skills do they have? What knowledge do they impart to the audience? For example, in Sideways, we’re impressed by Miles’ expert knowledge of wine. It makes him relatable and believable. In Everest, we really feel the climbers’ passion for mountaineering. In Whiplash, Andrew’s love of drumming is palpable. In each case, the writer has simply injected their own passions into their protagonists. And you can do the same. ♦ What if a guy was walking to work and suddenly gets kidnapped? ♦ What if all the food in the world ran out? ♦ What if a chauvinist could hear women’s thoughts? The problem here is that essentially there’s not much difference between asking “what if” and just brainstorming trying coming up with a logline. You have to think “what could happen next?” when you’re thinking about screenplay ideas anyway and this often leads to a build of pressure and writer’s block. A better way to come up with movie script ideas is to take the pressure off as much as possible. Rather than sitting there in front of a blank page, take a leaf out of Hitchcock’s working method. It’s relayed here by one of his cowriters. “When we came up against a block and our discussions became very heated and intense, he would stop suddenly and tell a story that had nothing to do with the work at hand. At first, I was almost outraged, and then I discovered that he did this intentionally. If your plot ideas aren’t flowing as well as you’d like, the first thing to do is to take a step back. Relax. Don’t beat yourself if things aren’t panning out as you’d like right now. They probably will. 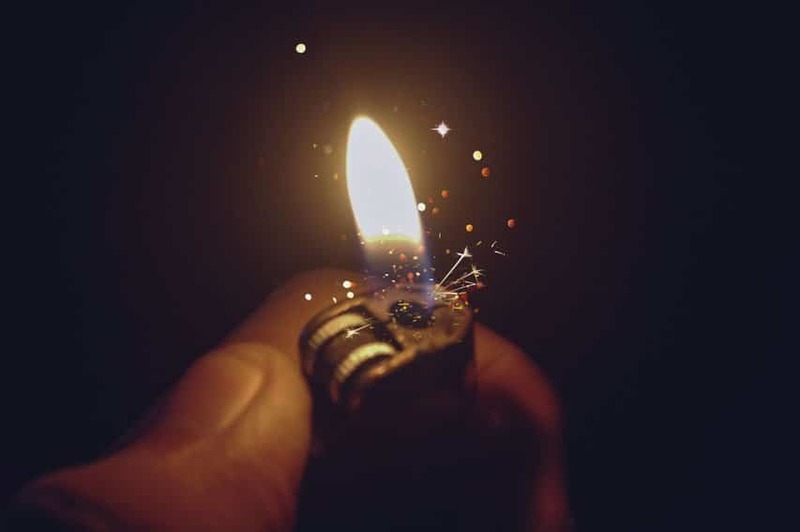 Below you’ll find answers to some commonly asked questions we get at Script Reader Pro about creating good movie ideas. 1. Can I Use a Movie Idea Generator? These are websites which generally consist of a single form that asks you to choose different responses to various questions in a drop-down menu. For example, is your protagonist a retired cop or a circus performer? Is their goal to infiltrate a drug smuggling ring or rescue a pet hamster? Is the movie like The Shining or Ratatouille? As you can imagine, using a film ideas generator is pretty limiting. We don’t really recommend it if you want to come up with compelling plot ideas for feature or short scripts. Rather than spending time on a movie idea generator, follow the methods we’ve outlined in this post and you should do just fine. 2. Do I Have to Copyright My Script Ideas? No, it’s impossible to copyright an idea for a movie. The truth is, an idea is just an idea. It’s the execution of that idea that holds value. Not the initial idea itself. 3. Are Producers Looking for Movie Ideas? Unfortunately, no. There’s nowhere to submit movie ideas and producers aren’t looking for movie ideas in themselves. What they’re looking for is the finished article. In other words, a feature screenplay or short script based on a great movie idea. 4. Can I Get Paid for Movie Ideas? If you run an internet search on “how to sell a movie idea” and find yourself on a website that claims it’s possible to do so, get out of there as quickly as possible. At the risk of sounding repetitive, there’s no real market for selling just film ideas. You’ll need to write a spec yourself or collaborate with another writer and then try and sell it. 5. So Why Do You Advise We Write Film Ideas As Loglines? This is a great exercise in order to make sure your concept is rock solid before you start writing the script. And can potentially save you months of rewrites. It’s also handy to have a logline of your script ready as an elevator pitch or to add to a query letter. Here’s the step-by-step guide on How to Write a Logline: The Ultimate Step-by-Step Guide. 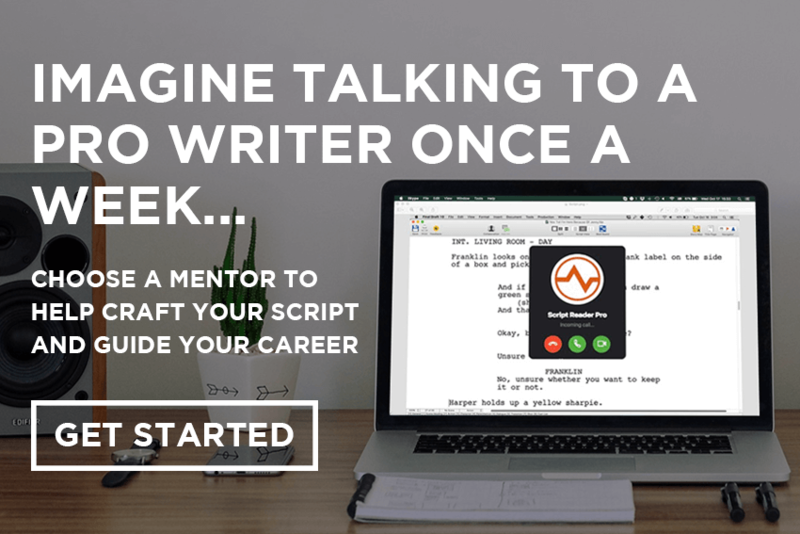 We hope this post will help you generate some great script ideas. However, it’s not enough to just come up with script ideas, they have to be original. Ultimately, there has to be something within the conflict of your story that marks it out as different in some way. But the problem is Ted has already been made. Audiences have already seen the whole thing with an adult talking to a childhood toy, so this idea just didn’t cut it in the originality stakes. Before The Hangover, had you ever seen a comedy about three guys who wake up from a bachelor party to discover the groom’s missing and they have no idea why? Jon Lucas and Scott Moore’s script was a spec, and one of the primary reasons it got bought and got made is the originality of the concept. This is key to coming up with plot ideas that get turned into effective features and short films. Overall, if your film ideas are cliched you’ll need to rethink them. Our post How to Write a Logline: The Ultimate Step-by-Step Guide will give you a full breakdown on how to make sure it’s ready to be written. Turn off your phone and get outside. Read other writers’ script ideas. Check your plot ideas against those on IMDb. Plunder real life for movie ideas and focus on what you’re most passionate about. But most important of all: be original. How do you come up with loglines and script ideas for your projects? What do you think of our suggestions? Leave your thoughts in the comments section below. A man wakes up to realize his whole life has been a dream and now he must fight to get back awake before it becomes a nightmare. Who is the man? Read that first section about thumbnails and describe him. Why does the dream become a nightmare? So, if he ‘wakes up’, then why does he have to get back awake? Also, this logline needs irony. Hi Gina, as Loressa says we need much more information here about who this man is, where he’s come from and what the source of antagonism is. A fickle woman miraculously survives a fire only to discover that her fiancé never existed. Things get worse when a deranged detective believes she is a terrorist. She must work with a psychologist, with his own issues, if she wants to discover the truth. Zodiac was an adaptation of Graysmith’s novel about the Zodiac Killer, not an original idea based on the Son of Sam. How much will it cost me for you to evaluate my movie ideas? I have a lot and they’re ready for sale for Hollywood. Moive idea generator?? Do people seriously use these things?? Can’t say it’s the best idea but some writers do, yes. 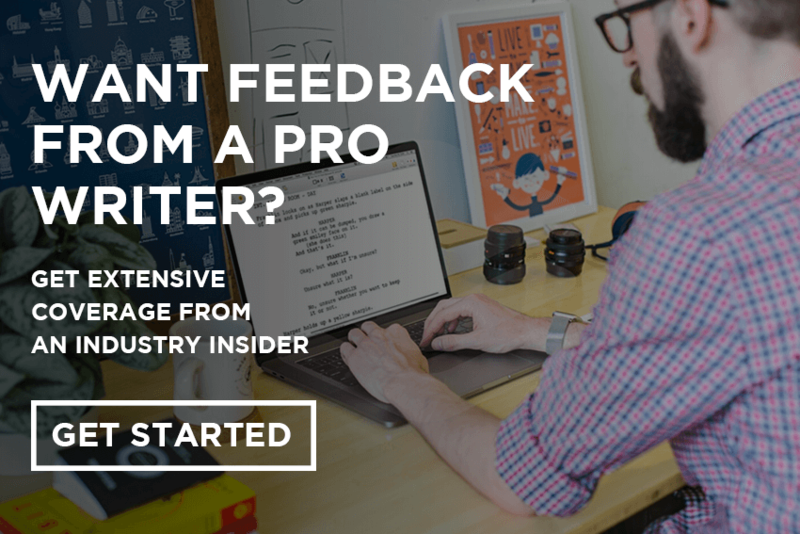 This is what sets scriptreader pro apart from other screenwriting blogs: thinking outside the box. LOVE IT. Where can I find more loglines. You haven’t given enough sources. Otherwise it’s a good article. I’m not a writer, but I would like to see someone do a remake of George Orwell’s, “Nineteen Eighty-Four”, incorporating modern technology (cell phones, home computers, social media, etc.) to accomplish the state’s objective to continuously monitor its citizens conversations, movements and even their thoughts. “Big Brother” could be similar to a cult-like president who was “elected” by the easily swayed under-educated rabble. The persuasive power of “the party”, which is actually an elite group that controls both major political parties would illicit the services of the “thought police”, taking action against “subversives” in the form of convincing the public of the dangers of independent thinking. This effort would be reinforced by the puppet talk show hosts, shaming subversives into submission. The protagonist, Winston Smith, would enter a forbidden relationship with a woman of another race or perhaps even a Muslim. The state, claiming that she is a terrorist and a danger to public safety, would begin hunting them down. Totally agree with turning your phone off and getting outside. It’s amazing what ideas you can have when you disconnect from all that crap on Facebook and Twitter Great post guys! Thanks, Curtis. Yes, every writer should do it at least once a month. Where can I find more do you have more articles like this on being a different writer from everyone else? How do I do this in practice tho. I feel like I write and think its good but everyone read it and says its not good. This is hands down the best post on freeing yourself as a writer I’ve read. This site’s a freaking goldmine, thank you!! Thanks, Edward, really appreciate it! Thanks for this wonderful article. You put writing a logline in such an easy way I like it. Superb ideas to follow and stick to this. Thanks for reaching out, Amian! When reserved Shawn inherits his father’s estate, turning him into an instant billionaire, the private world he once enjoyed is now public information when the media labels him the ‘Most Desirable Man Alive’. Struggling to navigate his newfound status and desiring to stay out of the spotlight, Shawn doesn’t expect to meet outgoing Shelley, who seems genuinely interested in him, but society’s expectations for him to always cater to the media, a constant bodyguard presence, and a sudden deluge of eligible bachelorettes keep coming between them. “BEING THERE” (1973, Director: Hal Ashby; Starring: Peter Sellers, Shirley MacLaine, and the others) is one of the possible but simple responses to Krista’s question – it is sufficient to be there (in a genre of comedy, at least). As a movie is a blend of reality and fiction, both sources of inspiration: the reality and the author’s own brain are eligible. The fictitious bomb attack on the Greenwich Observatory, for instance, is taken from the real newspaper’s announcement as in “The Secret Agent” by Joseph Conrad (1907). This has been an eye opening read for me. Feel like I need to go back to my story and work on the concept from the beginning. Thank you!! Great instructions, some of them fit to what I already do and the others will certainly help to stick to it and keep going (in Germany everybody asks for “fresh ideas and/or new and inspiring writers”. Problem is that when it comes to a call for a script these same people ask for “at least one realized film/movie”. So I try to get every (good) advice possible to not drift into complete resignation :-). Thank you for keeping our writing spirits up! Thanks, Anina! Best of luck with your writing endeavors in Germany.